Think Spring! Order Tree & Shrub Seedlings Now! The Berrien Conservation District is offering a variety of evergreens, deciduous trees and shrubs for purchase. There are also fruit trees and berries available. All orders are due by April 12th. Pick up of all orders are April 26 from 3pm in the afternoon to 8pm in the evening, and on April 27 from 9am until noon. No early pickups. Location is the Berrien County Youth Fairgrounds, 9122 Old US 31, Berrien Springs, MI 49103. Most seedlings are an average of 18 inches tall and are bundled in quantities from 5 to 100. 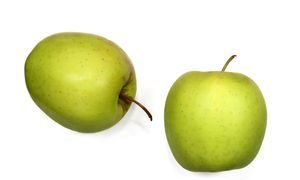 Fruit trees are sold individually. All sales are final. Author who walked 1000 miles around Lake Michigan to present at Berrien Conservation District Annual Meeting! Author, adventurer, and Great Lakes expert, Loreen Niewenhuis, will be the guest speaker at the Berrien Conservation District’s Annual Meeting on Thursday, February 21st, 2019, at the Southwest Michigan Research and Extension Center, 1737 Hillandale Road, Benton Harbor, MI 49022. In her presentation, Niewenhuis will take you along the shores of the lake with photos and video from her journey showing the geology, natural history, and biology of the lake and also what threatens this massive ecosystem: invasive species, pollution, and destruction of wetlands. The evening program will include dinner, updates by the Berrien Conservation District, election of directors, awards for Conservation Farmer of the Year and MAEAP Environmental Stewardship, and a silent auction with items donated from local businesses and partners. Doors will open at 5:30 pm with dinner to start at 6:00 pm. The cost is $10 per person. Payment can be made at the door, but reservations are required; call 269-471-9111 x3 or email Nancy.Carpenter@macd.org by Friday, February 15th. Sponsors for this event include Wolverine Pipeline Company, Greenstone Farm Credit Services, and Upcycle Products. Produce Safety Alliance Grower Training courses are being held in Michigan from January to May 2019. The target audience is fruit and vegetable growers that need to complete this class as a requirement for the Food Safety Modernization Act (FSMA) - Produce Safety Rule. It satisfies requirement 112.22 (c) as outlined in the rule. The classes are currently grant funded and offered free of charge but pre-registration is required to ensure material is available for all attendees. There are a limited number scheduled across the state so it is important growers have this information so they do not have to travel far for this requirement. 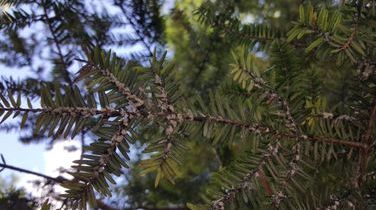 Oak Wilt, a fungal disease affecting oak trees is moving through Michigan at an alarming rate. While the disease can impact all oaks, the red oak family is most susceptible, often dying within 30 days of becoming infected. To help homeowners, arborists, and tree service providers identify and prevent the spread of oak wilt, a FREE educational presentation is bing hosted by Releaf Michigan - a non-profit tree organization, and the Berrien Conservation District-the Local Natural Resource Agency, along with support by the SW X SW Corner CISMA-Cooperative Invasive Species Management Area. Respected plant pathologist, Dr. David Roberts, Ph.D at Michigan State University's College of Agriculture and Natural Resources will provide an overview of the disease and outline it's biggest concerns so homeowners can protect the long-term health and vitality of their trees. Oak trees make up a significant percentage of Michigan's forests. The image of Michigan's landscape without oak trees is not a good one! It is important to know how to spot oak wilt and what actions to take. Presentation topics will cover the disease, how it affects oak trees, and how it is transmitted via sap beetles to fresh wounds and through root grafts. Other topics will include how to manage oak wilt once identified, important dates and restrictions, what to do with diseased wood, and guidelines for hiring a tree service or arborist. Join the SW X SW Corner CISMA on July 11th at 6:00 PM to learn about the impact of Japanese Knotweed in the Eau Claire community and Southwestern Michigan. This invasive plant has the potential to damage roads, pipes, sewer lines, and building foundations. Knotweed chokes out native vegetation, increases erosion, degrades water quality, and degrades habitat for native wildlife. Topics discussed will include identification, mapping, and issues associated with this plant. Following the presentation there will be an opportunity to go outside and see knotweed in town. Planting native wildflowers and grasses in your landscape increases the diversity and can lead to greater variety and abundance of wildlife on your property. Over 95% of our upland bird species feed their young exclusively on insects and spiders. If your landscape cannot provide the required quantities of insects and spiders, birds will not be able to successfully raise their young to the fledgling stage. Every caterpillar living on a host plant in your native planting increases the odds of your local birds being able to produce a new generation. Do you want more butterflies and birds? Do you want an increase in the wildlife in your landscape? Plant natives! Native plantings generally do not require fertilizer or insecticides. Natives will require little to no watering ONCE established. Additionally, the deep roots of many natives filter water as it flows through the soil. Many native species are quite beautiful and some are simply stunning. Native plants are available in a wide range of colors, textures, and sizes to suit your landscaping needs. Cost: The presentation is free. Sponsored by the Berrien Conservation District. A variety of bare root seedlings of evergreens, deciduous trees, shrubs, and fruit trees are being offered. Rain barrels and composters are also available. Orders may be placed at the website store, or order forms may be obtained from the office at 3334 Edgewood Road, Berrien Springs, MI. You may also print from the website or request one to be mailed to you by calling 269-471-9111 ext. 3. Orders are due by April 6th. Quantities are limited and some varieties will be available to purchase during order pickup/sale days. Looking to attract deer, songbirds, pheasants and butterflies onto your property, at the same time improving air, water, and soil quality? Grassland habitats provide significant value to our natural resources in Michigan. Grasslands provide filtration to water, collect carbon to help clean our air, and hold down soil to prevent erosion. They also provide homes and food for a variety of wildlife including deer, songbirds, butterflies, turkeys, pheasants, and much more. Pollinators are being threatened, and their greatest need are grassland habitats with vibrant native wildflowers. Without pollinators, we face a threat of food shortages as pollinators allow food to grow. This workshop will provide an overview of the value grasslands provide on a landscape. It will also provide information on where to find seed and how to plant it, what financial and technical resources are available to assist you in creating and managing grassland habitats, and will showcase the great organizations who are here to help improve our habitats. There will also be a short presentation on invasive species of concern for SW Michigan. Pre-Registration required: For more information and to register to attend, please visit www.mucc.org/pollinators. Please contact Anna Mitterling at amitterling@mucc.org or 517-346-6454 with additional questions. In addition, if you would like a short guided hike of Camp Friedenswald before the program, please call Korie at the Cass Conservation District at 269-445-8641 x5. Oak Wilt, a fungal disease affecting oak trees, is moving through Michigan at an alarming rate. While the disease can impact all oaks, the red oak family is the most susceptible, often dying within 30 days of becoming infected. To help homeowners, arborists, and tree services identify and prevent the spread of oak wilt, a free educational presentation is being hosted by ReLeaf Michigan, a non-profit tree organization, the Three Oaks Parks and Recreation Board, the Berrien Conservation District and the SW X SW Corner CISMA. Respected plant pathologist, Dr. David Roberts, Ph.D. at Michigan State University’s College of Agriculture and Natural Resources, will provide an overview of the disease and outline its biggest concerns, so homeowners can protect the long-term health and vitality of their trees. Oak trees make up a significant percentage of Michigan’s forests. The image of Michigan’s lake areas without oak trees is not a good one! It is important to know how to spot oak wilt and what actions to take.Presentation topics will cover the disease, how it affects oak trees, and how it is transmitted via sap beetles to fresh wounds and through root grafts. Other topics will include how to manage oak wilt once identified, important dates and restrictions, what to do with diseased wood, and guidelines for hiring a tree service or arborist. Lean about invasive plant species affecting this area and new ones to watch out for on the horizon. Identification and management of some of the most troublesome yard invaders will be covered including Japanese Knotweed and Honeysuckle. A FREE soil health seminar will be held at the Southwest Michigan Research and Extension center located at 1791 Hillandale Rd. Benton Harbor, MI 49022 on March 20, 2018. Registration with coffee and donuts is from 8:30 am to 9:00 am and the seminar is from 9:00 am to 12:00 pm. Dr. Ray Smith, owner of Phase II Inc., will present information on nutrient interactions and soil health, and how nutrients in the soil become available to plants. Dr. Smith has over 50 years of experience as a certified agronomist and soil consultant. He has developed a fertilizer formulation that is environmentally friendly to maximize crop quality and yields. Speakers Ryan Smith will talk about economic farming challenges and Keith Morris will explain application of the Phase II fertilizer system in different crops. The event is sponsored by the Berrien Conservation District, for questions call 269-471-9111 x3. Michigan’s farm economy in the 21st century, new technology, and water quality will be the speaker topics at the Berrien Conservation District’s Annual Meeting on Thursday, February 22nd, 2018, at Love Creek County Park, 9228 Huckleberry Road, Berrien Center, MI 49102. Matt Smego, the Manager of State Government Relations for Michigan Farm Bureau will be the special guest speaker. The evening program by the Berrien Conservation District will include a full dinner, awards for Conservation Farmer of the Year and MAEAP Environmental Stewardship, and Conservation District updates. There will also be door prizes. Oak Wilt, a fungal disease affecting oak trees, is moving through Michigan at an alarming rate. While the disease can impact all oaks, the red oak family is the most susceptible, often dying within 30 days of becoming infected. To help homeowners, arborists, and tree services identify and prevent the spread of oak wilt, a free educational presentation is being hosted by ReLeaf Michigan, a non-profit tree organization, and by the Berrien County Conservation District. Respected plant pathologist, Dr. David Roberts, Ph.D. at Michigan State University’s College of Agriculture and Natural Resources, will provide an overview of the disease and outline its biggest concerns, so homeowners can protect the long-term health and vitality of their trees. Oak trees make up a significant percentage of Michigan’s forests. The image of Michigan’s lake areas without oak trees is not a good one! It is important to know how to spot oak wilt and what actions to take. Presentation topics will cover the disease, how it affects oak trees, and how it is transmitted via sap beetles to fresh wounds and through root grafts. Other topics will include how to manage oak wilt once identified, important dates and restrictions, what to do with diseased wood, and guidelines for hiring a tree service or arborist. The presentation is interactive and attendees are encouraged to bring questions. Free handouts will be available. Please join us and protect your trees! When: Thursday, October 19, 2017 from 6 p.m. to 8 p.m.
Join the SW x SW CISMA in partnerships with the Berrien County Conservation District, the Cass County Conservation District, and Fernwood Botanical Garden and Nature Preserve to learn more about invasive species in your area. We will spend the first part of the day discussing invasive species identification and management. We will then then take a short hike around the Fernwood property to idenify some species. This is a free event and light refreshments will be provided. 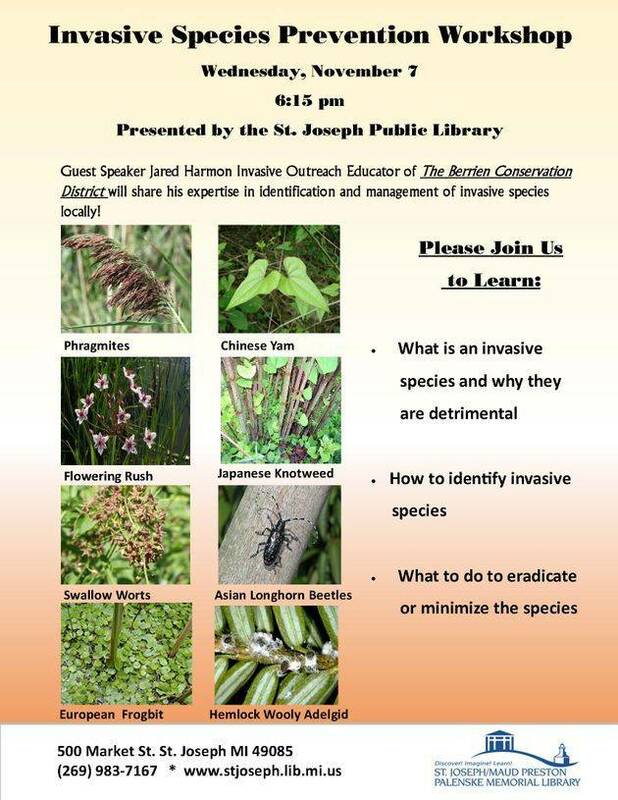 The Berrien Conservation District and Chikaming Open Lands will be hosting an Invasive Species Identification Workshop on Thursday September 28th at 6:00 PM. This is an opportunity to learn how anyone can assist professionals and land managers by reporting invasive species populations in Southwest Michigan. Invasive Species are known to degrade natural ecosystems by out competing native vegetation as well as providing poor habitat and food sources for native fauna. This workshop will focus on the identification of both native and invasive species, and the importance that native species have in the function of healthy ecosystems. There will be discussion of invasive species that are currently impacting the region as well as new invaders that have not yet established in the area.With increased awareness there is a greater chance that new invasive species can be recognized and addressed promptly to prevent their establishment. At the conclusion of the workshop there will be an opportunity for a short walk outside to see invasive species in a natural setting. If you have any questions please contact Jared Harmon at (269) 471-9111 Ext. 3. The Southwest X Southwest Corner Cooperative Invasive Species Management Area (CISMA) will be hosting a symposium discussing Japanese Knotweed which is a highly aggressive and difficult to manage invasive species that is threatening Southwest Michigan. The event will be taking place at the New Buffalo Township Library located at 33 N. Thompson Street on August 29th from 1:00 to 4:30 pm. This is a free event that is open to the public and is directed toward property owners, municipal staff, land managers, and concerned citizens. Japanese Knotweed is a highly invasive perennial plant that can spread rapidly when improperly managed. This species can quickly shade out desirable native plants and can threaten homes and public infrastructure by breaking pipes, asphalt, and building foundations. Japanese knotweed is capable of spreading from very small plant fragments and will take years of careful management to eradicate. This symposium will include information on the identification, impact, and management techniques for Japanese Knotweed removal. There will also be information about what steps have been taken by local municipalities to control Japanese Knotweed in their communities. 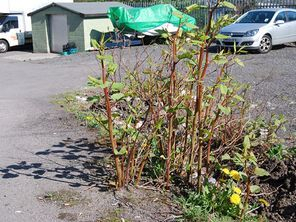 There will be an opportunity for public comment and the chance to answer any questions regarding the necessary steps to control and eradicate Japanese Knotweed in our communities. There will be a presentation of the top 10 most concerning invasive species that impact or have the potential to cause problems in Southwest Michigan in the future. This is an opportunity to learn Identification as well as how to control invasive species and the importance of invasive species management. There will be live samples of these species at the presentation to aid identification and free materials for participants to take home to assist in invasive species identification and management. At the conclusion of the presentation there will be an opportunity to see a stand of invasive Japanese Knotweed that is growing in town. Berrien Conservation District welcomes special guest speaker, John Kempf, for the “Working with Cover Crops Field Day.” This on-farm event will be held Tuesday, July 25th, at 11025 M-140, Niles, Michigan (Carl Wagner III’s Farm). The event runs from 4:00 pm to 9:00 pm. Presenter John Kempf, from Orwell, Ohio, is the founder of Advancing Eco Agriculture (AEA), a leading crop nutrition consulting company. A top expert in the field of biological and regenerative farming, John has a unique ability to simplify and clearly explain very complex concepts in the areas of soil and plant health. 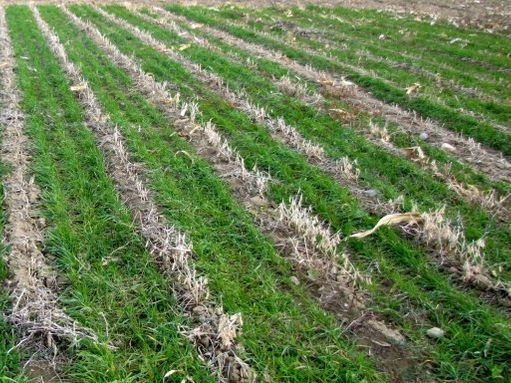 John will explore the characteristics of what makes a soil able to suppress disease organisms, how cover crops play into this scenario, and which cover crops are disease conducive versus disease suppressive. As a farmer who grew up in and remains a part of the Amish community, John has a very special understanding of plants’ functional immunity. He sought out alternative approaches to prevent damage to his crops once they stopped responding to conventional pesticide treatments. John is an internationally recognized lecturer on the topic of biological agriculture and plant immunity. Attendees will be able to view a cover crop demonstration plot showing various species and will learn more about what their advantages and disadvantages are. Speaker Marcy Hamilton from the Southwest Michigan Planning Commission will present on the opportunities for farm renters and owners in the Ox Creek and St. Joseph River watersheds to improve water quality with USDA cost share assistance. Presenter Josh Appleby will provide information on the Michigan Agriculture Environmental Assurance Program. Dinner is included. This event is a MAEAP Phase 1 meeting and pending for Restricted Use Pesticide Credits. The event is free and the public is invited but reservations are required. Please RSVP before Thursday, July 20th, by calling the Berrien Conservation District at 269-471-9111 x3 or email nancy.carpenter@macd.org. Early reservations are encouraged. Sponsors include the Berrien County Farm Bureau, Wilbur Ellis, Greenstone Farm Credit, and Scott’s Cover Crops, Michigan Wine Collaborative, and the Eau Claire Fruit Exchange. Recycle Agriculture Pesticide Containers (jugs, drums, and mini bulks - removed from cages) free of charge. Wednesday, July 26, 2017, 9 a.m. to 3 p.m.
Berrien County Road Commission, 2860 E. Napier Ave., Benton Harbor, on the corner of Napier and Yore Ave.
Co-Alliance, 16724 Bakertown Rd., Buchanan. Be Rinsed of all residue after use. A triple rinse is a good rule of thumb. 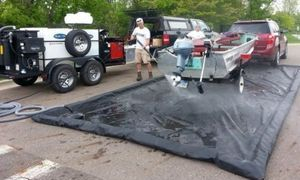 Pick up large bags to use for collection and storage of the containers in the time leading up to the July 26th event. Get free bags at your local Conservation District in Berrien, Cass, or Van Buren Counties, and at Co-Alliance in Buchanan. Call Jill Adams at 269-983-7111 x8234 or call the Conservation District at 269-471-9111 x3. Join us June 27th to learn how you can help the State of Michigan track invasive species populations. There will be a presentation on invasive species and the MISIN program (Midwest Invasive Species Information Network). This program is instrumental in understanding the locations and movement of invasive species that impact our environment, economy, and wildlife. This is an on the farm field day to present information on Wetlands, how to enroll in the Wetland Reserve Easement Program, Wetland Restoration, Easements, and the Ag Assistance Program. Information for farmers in the Ox Creek and the St. Joseph River Watersheds on available USDA programs will be presented, along with the Michigan Agriculture Environmental Assurance Program. Invasive species of special concern will be covered. Also, representatives from ANR/TransCanada Pipeline Company will be available to answer questions about pipelines under farm fields and wetlands. Dinner is included. This event is eligible for three Restricted Use Pesticide Credits and MAEAP Phase 1. The event is free and the public is invited but reservations are required. RSVP: Berrien Conservation District 269-471-9111 x3 or email nancy.carpenter@macd.org before Friday, June 16th. Early reservations encouraged! Sponsors include ANR/TransCanada Pipeline Company. 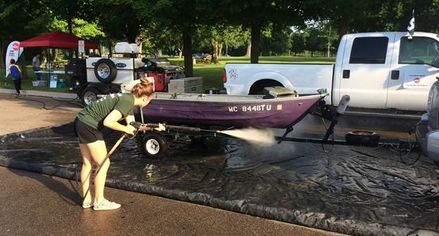 This project has been funded wholly or in part through Michigan Department of Environmental Quality's Nonpoint Source Program by the United States Environmental Protection Agency. WILDFLOWERS & GRASSES! NATIVE PLANT PRESENTATION! 1:00 pm: Presentation by Vern Stephens, owner of "Designs By Nature"
3:00 pm to 6:00pm: Sale is open to the public; large variety of plants in quart pots. Join us April 28th to learn the impact of Japanese Knotweed in the New Buffalo Community and throughout Southwest Michigan. Topics discussed will include identification, mapping, and issues associated with this aggressive invasive plant. There will also be an opportunity for questions and input for what can be done to resolve this growing problem. Following the discussion we will head outside to identify Japanese Knotweed in town. Friday, April 21, 2017 from 3pm to 8pm and Saturday, April 22, 2017 from 9am to 12 noon. Annual Tree and Shrub Seedling Fundraiser. Pre-Orders are being accepted now through April 7th. A variety of bareroot evergreens, deciduous trees, shrubs, and fruit trees are being offered. Rain barrels and composters are also available. Orders may be placed on-line at www.berriencd.org, or, order forms may be obtained from the office at 3334 Edgewood Road, Berrien Springs, MI, from the website, or you may request one to be mailed by calling at 269-471-9111 ext. 3. Information about each item can be found on the website store. The location for picking up orders, or to just come to the sale, is the Berrien County Youth Fairgrounds. Pickup & sale date/time is April 21st in the afternoon from 3-8pm and April 22nd from 9am until 12 noon. Friday, March 24th, Check in 8:30am. Workshop from 9am to 3pm. Understanding Soil Life, Fertilizer, and its Energy Potential. A Free informational seminar on "Soil" will be held on Friday, March 24th, from 8:30 am until 3:00 pm at the Bertrand Crossing LMC campus located at 1905 Foundation Drive, Niles, MI. Speakers Ray Smith along with Keith Morris will present “Understanding Soil Life, Fertilizer, and its Energy Potential”. Attendees will learn how fertilizer affects soil/plant physiology, and the biological effects of soil energy. Attendees are welcome to bring in results from a soil sample to learn what the results are really saying. This is an in-depth study of soil life. and the workshop is from 9am to 3pm. Reservations are required and a box lunch is included. 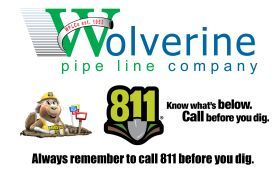 Berrien Conservation District at 269-471-9111 x3. Tuesday, March 21, 2017 check in 8am, Start time 9am and ends at 3pm. 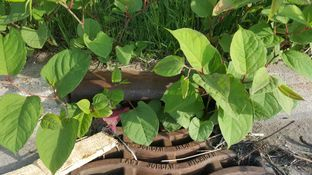 Knotweed is a major problem in southwest Michigan. This invasive plant can damage roads, pipes, sewer lines, and building foundations. It also chokes out native vegetation, increases erosion, degrades water quality, and hurts habitat for fish and wildlife. At this workshop you will learn how to identify and control it on your property or property you manage. This is Free and a lunch will be provided! Please RSVP by March 13th. Tuesday, March 21, Check-in starts at 8am with coffee and donuts. Session starts at 9am and ends at 3pm. The SW X SW Corner CISMA is a Cooperative Invasive Species Management Area. For more information contact the Berrien Conservation District at 269-471-9111 x3. The Southwest by Southwest Corner Cooperative Invasive Species Management Area (CISMA) is hosting a symposium about the invasive plant Japanese knotweed. The symposium will bring together experts to discuss how this plant grows and spreads as well as control and prevention techniques. The symposium will be held on Friday, September 23 from 10 a.m. - 2 p.m. at The Heritage Museum & Cultural Center at 601 Main Street, St. Joseph, MI. The event is free and lunch will be provided if attendees RSVP by September 15. The event is targeted to road commission staff, municipal staff, land managers, landscapers, homeowners, environmental organizations, and anyone who owns or manages property that might be affected by Japanese knotweed. 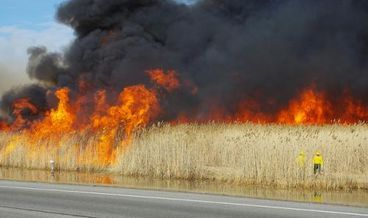 This non-native invasive plant (also known as Michigan Bamboo or Mexican Bamboo) is spreading explosively in parts of southwest Michigan. It can damage roads, pipes, sewer lines and building foundations. It also chokes out native vegetation, increases erosion, degrades water quality and harms habitat for fish and wildlife. Common control techniques like over-the-counter herbicides, pruning or mowing can actually stimulate its spread. Effective treatments for Japanese knotweed involve a combination of community education and using the right herbicides at the right time. The featured speaker will be Dr. Leslie Kuhn, Field Projects Coordinator and Co-founder of the Mid-Michigan Stewardship Initiative, which works with private, commercial and municipal landowners on regional invasive species control projects. Dr. Kuhn is also a Professor of Biochemistry & Molecular Biology at Michigan State University, where she has combined her involvement with invasive species issues with her research interests. Other presenters will include partners of the SW x SW Corner Cooperative Invasive Species Management Area, the City of Kalamazoo, Native Landscapes, and the Michigan Department of Transportation. People interested in attending are asked to RSVP for this free event by calling the CISMA Coordinator Erin Fuller at (269) 657-4030 x 5 or registering online at www.vanburencd.org/event/japanese-knotweed/. Three Restricted Use Pesticide (RUP) credits will be available for attendees. This symposium is hosted by the SW x SW Corner CISMA, the City of St. Joseph and The Heritage Museum and Cultural Center and funded in part with funds from the Michigan Invasive Species Grant Program through the Departments of Natural Resources, Environmental Quality, and Agriculture and Rural Development. The SW x SW Corner Cooperative Invasive Species Management Area is a partnership of federal, state, and local government agencies, individuals, and various interested groups that manage (or have a stake in managing) invasive species in Berrien, Cass and Van Buren Counties. Partners include the Berrien, Cass and Van Buren Conservation Districts, Chikaming Open Lands, Southwest Michigan Land Conservancy, The Stewardship Network and many others. Come out to discuss water quality in the Ox Creek and what can be done to improve water quality and slow down runoff from storm events. We’re also seeking feedback specific to the Mall District, which we’re defining as the Mall, Lowes, Home Depot, Pipestone Plaza, Meijer and Celebration Cinema. We’re opening a conversation to discuss what’s missing, what can be improved, and what the future holds for the Mall District. PARK(ing) Day is an annual worldwide event where citizens, artists, and designers temporarily transform parking spaces into temporary public parks. To gather community feedback on outdoor placemaking within SW Michigan. To demonstrate the vast possibility embedded in every parking spot, to h...elp our communities become healthier, more comfortable, more creative and more successful outdoor human habitat. Our Mission: To explore how streets might be better planned for people-centric places. Hey! What’s up with my tree? lawns represent a few among many issues that will covered during this enlightening program. No reservations required, however seating limited to 75 people.